Your customer has changed. Whether you’ve been in business ten years or forty, understanding today’s customer buying behavior is a whole new ballgame. Expectations have shifted, so if you want to sell to these new customers, your approach needs to change too. Sure, change is frightening, especially in sales. Knowing you can’t hook your customer at the start of the transaction—that you’re often coming in after your customer has done their research—it’s daunting. But there’s no cause for despair. Customers are certainly still buying; all you need to do is shift your tactics to complement this new customer buying behavior. Here are three approaches you need to reach your customers. Customers certainly haven’t stopped buying, but their approach is different. They take more time to research on their own upfront, so they don’t want a salesperson giving them the hard sell anymore. Strong arm tactics don’t work. 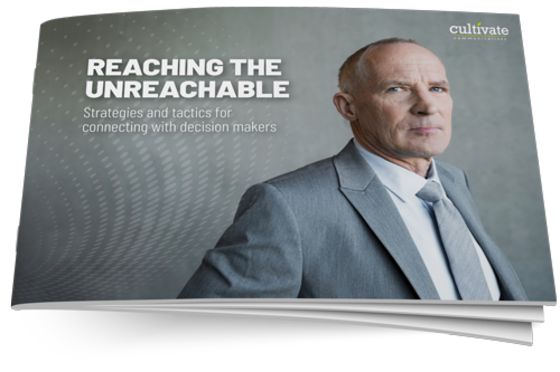 In our new eGuide, Reaching the Unreachable, we outline specific ways to refocus your marketing approach to better connect with your prospects. If you want to lead your customers to your business, you must provide strong, educational content to help customers during the discovery process. Gone are the days when a salesman demonstrated the latest product features in a customer’s living room. Customers are researching independently—and where do we go when we have a query? The internet, of course. Keep your website up-to-date and focus on providing strong, informative online content to click with your customer. If we look at the last twenty years, online marketing has completely changed customer buying behavior. Customers are constantly connected; they can instantly research and review any product and buy with a single click of a button. While this is certainly changed the approach in the B2C sector, the same holds true with B2B. Customers expect fast results, answers, and accessibility across the board. With so much information at their fingertips, there are more options and less brand loyalty. The traditional funnel model doesn’t work as it used to. Customers are often on to the next big trend, before you blink twice. This means, now, more than ever, you need to keep your branding relevant and focused. And don’t make the mistake of assuming it’s just Millennials changing customer buying behavior. Baby Boomers and Gen-Xers are actually higher online spenders than Millennials. 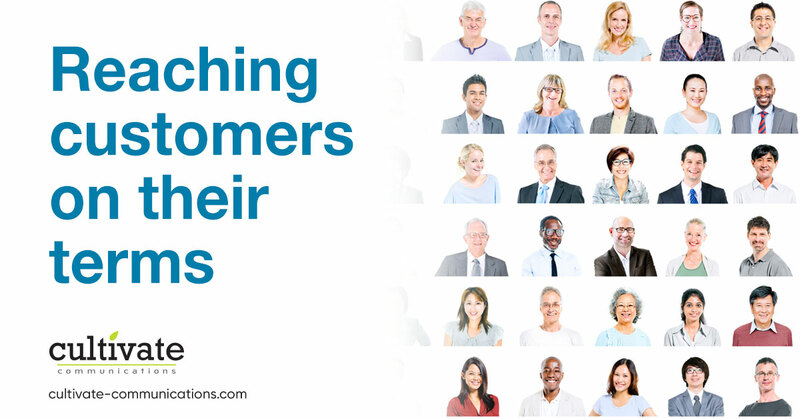 Target YOUR customer base and market specifically to them. “Stores are out, experiences are in,” according to a recent Forbes article on customer trends. Anyone who’s recently shopped at brick and mortar store understands this fact. Athletic stores don’t just sell clothes anymore, they also host fitness classes and private yoga sessions. Customers expect an experience rather than a sale and the same holds true outside of the retail sector. Customer experience has always been important, but now more than ever that customer experience is vital. 86% of senior level marketers say it’s critical to create a cohesive customer journey. This means closing your gaps between your sales team and your marketing team and creating a seamless information pipeline. Marketing should help sales build their customer relationships: both teams working together to provide a seamless customer experience. Today’s customer is looking for a great experience tailored to their customer buying behavior. They want to easily access information about your product. They want marketing targeted to their generation that doesn’t talk down to them. The fact that your customers want to be understood is one aspect of customer buying behavior that will never change—meet them at the right point in their journey and you’ll be on your way toward the sale. When you create a “culture of sharing”, you'll connect with more of your customers. Our free eGuide, Reaching the Unreachable, will show you how to do it and more.